The Spring League has garnered national publicity for its annual three-week long football showcase, with former Heisman Trophy winning quarterback Johnny Manziel participating in last spring’s event in Austin, Texas. For over two seasons, NFL hopefuls have utilized TSL’s platform to get in front of professional scouts, receive updated practice and game film, and prove themselves against elite competition. The results have been impressive. TSL has placed 1 in 5 players into NFL camps, with many more winding up in the Canadian Football League. Yet, The Spring League is far from satisfied, and has greater aspirations than to be a short blip on the sports worlds’ radar. To do this, TSL is expanding it’s Showcase model, hosting numerous 3-day long events, year round, across the country. The next one up is in Miami, Florida from November 6th-9th. The expansion will fill a valuable niche in the football climate, and fulfill the company’s larger mission of providing a platform to all those who aspire to play professionally. Many questions surrounding these leagues still need to be answered. But it’s clear they will need talented football players to line their rosters on game day. The Spring League’s Showcase model offers the most efficient and professional setting for scouts to evaluate talent. And it shows. 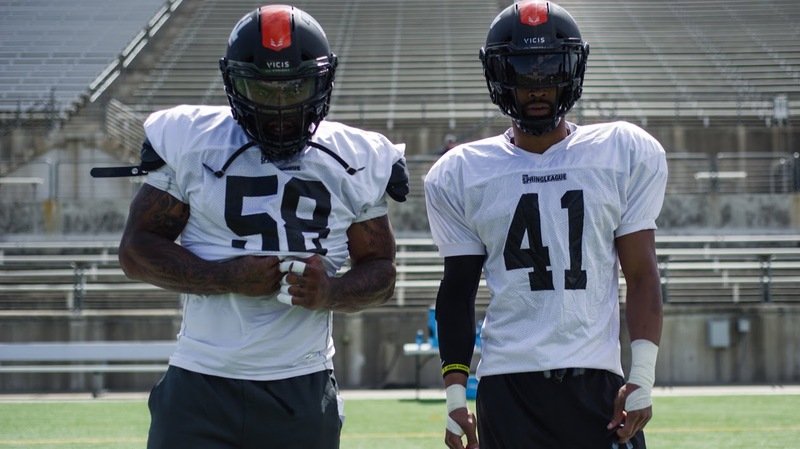 Already, over 40 TSL alumni have landed professional contracts with the AAF, in addition to those who signed with the NFL and CFL. For more details on the Fall Showcase in Miami, head to TSL’s website: www.thespringleague.com. For interested players, fill out the Player Application Form on the website. Deadline to apply is Sunday, October 7th. Next TSL Showcase WR Julian Williams signs with Atlanta Falcons!